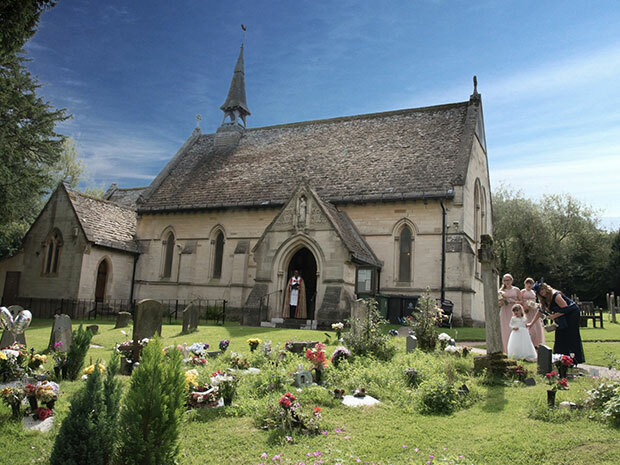 Following a picture-perfect proposal atop Robinswood Hill on Christmas Day, Marie and Mark Paddison incorporated sentimental touches into their celebrations at St Katharine's Church and Hallmark Hotel Gloucester. 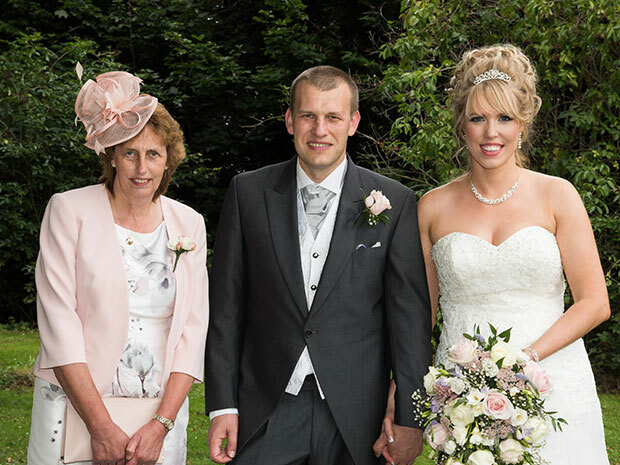 Be inspired by Marie and Mark’s summer celebration in Gloucester. 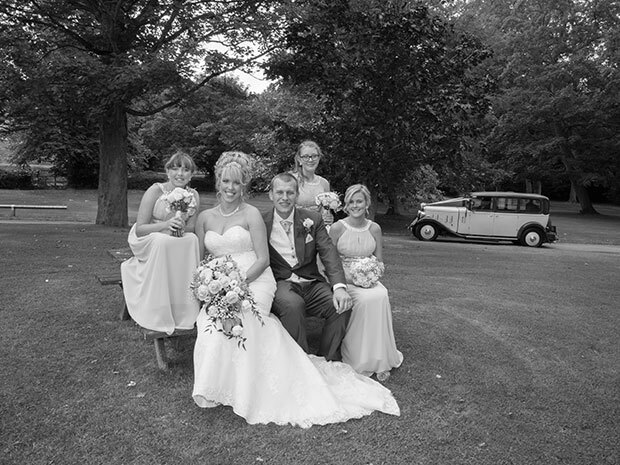 All images © Hitchings Wedding Productions. The happy couple: Marie Paddison (nee Pike), 31, a stay at home Mum, and Mark Paddison, 38, a stadium security supervisor, originally from Gloucester and Somerset but living in Manchester. Mark and I met online through a dating site nearly five years ago. 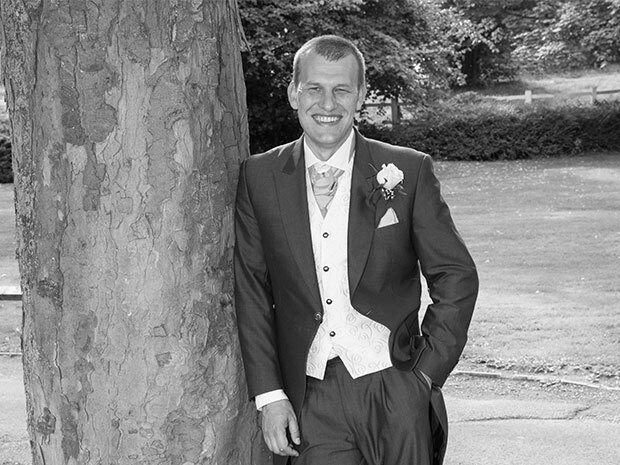 Mark works extremely long hours for a very well-known football team and I was a single mother working full time as a production planner for a shirt manufacturer in Gloucester. 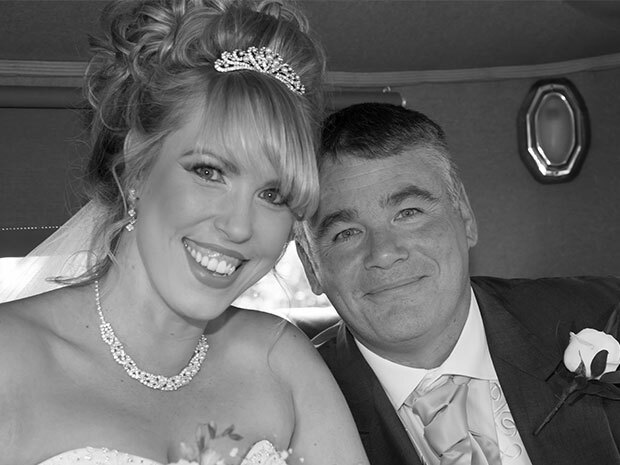 When Mark popped up on my laptop I thought ‘hmmm who is this…’ but as soon as I saw that he lived in Manchester I wasn’t so keen, as a long-distance relationship wasn’t what I was looking for. I explained this to Mark and he understood. However, the following day he contacted me again and we were talking constantly for a few weeks before Mark took the plunge and arranged a date for us in Gloucester. I can honestly say our first date was fantastic. We laughed our way through the night and from then on Mark travelled many, many miles back and forth between Manchester and Gloucester, before I finally moved to Manchester three years ago. Mark proposed to me on Christmas Day three years ago. He told me he had arranged for us to go quad biking on Robinswood Hill; I was so confused but thought it would be quite a different Christmas present. We set off on what was a perfect Christmas morning, the sun was shining and there was a Turkish delight sky – pale pink with the fine dusting of clouds. There had also been a thick frost so the hill really looked like a scene from a Christmas card. Mark directed us to a bench which I fondly refer to as my ‘Gramp’s bench’, a scenic spot which overlooks Gloucester and a place where I remember my Gramp used to take me on many walks as a child. To my surprise Mark attempted to get down on one knee – although the steepness of the hill plus the frost meant that he had to lean over me or risk sliding down the hillside! Despite his awkward pose Mark managed to keep his composure and made promises so sincere and meaningful that the tears were brimming in my eyes; he presented me with a beautiful solitaire diamond ring and I couldn’t believe what was happening. 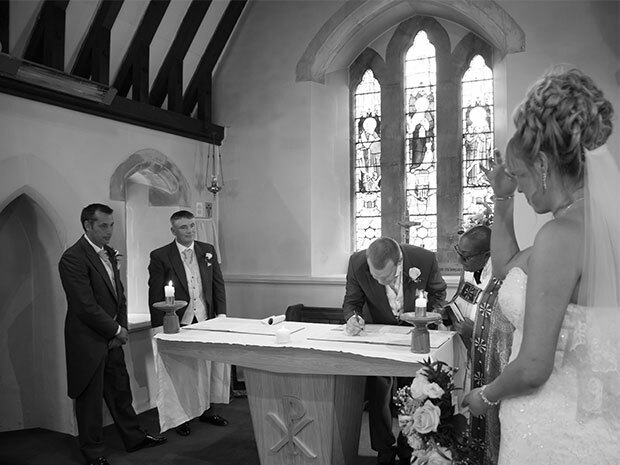 Firstly, we chose St. Katharine’s Church to have our wedding ceremony as it is place of real significance to me and my family. My mother and I were baptised there, my mother and father were married there, my two daughters were christened there, and my Grandad is buried there. The church is tucked away on the side of Robinswood Hill. It’s a beautiful church, it is quaint and charming and I really couldn’t have got married anywhere else. We then chose the Hallmark Hotel Gloucester as our wedding reception venue as it’s literally a stone’s throw away from the church, which was ideal for our guests who had to travel. Also, many moons ago I had worked there for a different hotel chain, so again there was sentiment involved. We loved the contemporary feel of the Merlot Suite and the hotel had tailored a very competitive package for us, so it was the perfect venue. We didn’t have a theme for our wedding, it was about us being married somewhere special surrounded by the people we love. Mark’s father passed away a year before our wedding. It was such a shock and really heightened how important family and loved ones are. I met Ken Hitchings at a wedding fayre at the Hallmark Hotel. It was a great opportunity to see his work and also to get to know him. His work was fantastic and I loved his jolly personality. I am so pleased we chose him as he made me feel so calm and at ease. Even when there were some hiccups along the way he kept me smiling and I cannot thank him enough for the beautiful photos he took, and our fantastic wedding video which was produced by his son Mark Hitchings. Being a house wife was a completely new concept for me when we had our youngest daughter so I had a lot of time to focus on the wedding. I absolutely loved planning and designing different aspects of the day. The Hallmark Hotel was great and Johanna Palmer, the meeting and events sales office manager, was the most meticulous and helpful person. She calmed me down if I had a bridezilla moment and really made sure all of our needs were met. Truly she was exceptional. She also arranged the following day for the wedding guests staying at the hotel and other relatives who wanted to join to have breakfast in the executive boardroom, which was a lovely touch and a lovely way to end our stay at the hotel. Everything was perfect from beginning to end and I cannot recommend the Hallmark Hotel highly enough. I made many things such as the Order of Service booklets, framed swan table plan, personalised menus (great for reminding guests of their options and for the staff), swan favours, children’s gift packs, and tea light lanterns. It was great on the day to see how everything had come together and the hotel presented everything perfectly. I bought my dress two years before the wedding day. I am 6ft tall and absolutely dreaded the idea of trying on lots of dresses which I thought would be too short, but to my sheer delight it’s actually a perk being tall as the sample dresses are made extremely long. 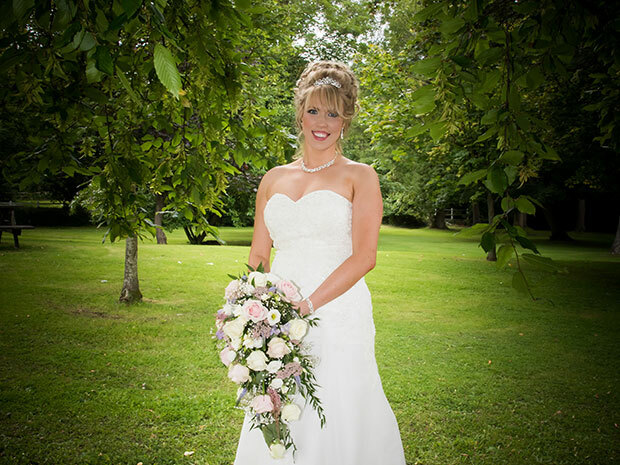 When I went to Taffeta and Lace, Jill and her team were fabulous and the sample dress they had fitted me perfectly so when my actual dress arrived it needed no alterations apart from a very small length adjustment to the lining. I fell in love with the lace, the sequins and beading and style of the dress. I also had a cathedral-length lace veil which was so pretty with the floral lace which was edged with pearls and sequins. 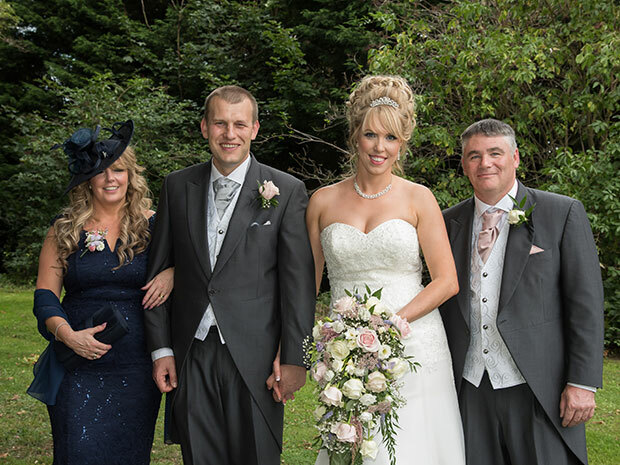 Mark looked great in a charcoal traditional tales suit from the Groom’s Room; he was adamant that he wouldn’t wear a pink cravat and opted to wear silver, while the father of the bride and best man wearing blush pink to match the bridesmaids. Mark and his brother Mike (our best man) wore a watch which had been given to them from their dad’s former workplace with his initials engraved. I wore a ring that had been given to me by Nan and Gramp. In the back of the order of service I printed a poem I had written for my father-in-law and had lemon carnations in the bouquets as they were a flower he liked. I also wrote a poem for my Dad to read before he walked me down aisle and arranged a mother-daughter dance to ‘You to Me are Everything’ by Real Star which is ‘our song’. Yes! Old – two sixpences one in each shoe courtesy of my Mum and maid of honour; new – a bracelet which Mark had sent as a present for me the evening before (my dress was the original plan); borrowed – a diamond eternity ring from my Mum; and blue – my garter. Ellie Goulding – ‘How Long Will I Love You’. Wow, Hallmark Hotel really did us proud with the food, it was fantastic! We had a three-course meal with three options for each course, followed by coffee. The meal was so nice that I really cannot wait for our complimentary anniversary meal. Many of our guests commented on how much they enjoyed their meal. A four-tier lace and rose cake, in keeping with my dress and bouquet. We had a different flavour for each tier. We had fruit; red velvet with white chocolate buttercream; lemon with lemon curd and buttercream; and a Madeira sponge with raspberry jam and buttercream. Ed Sheeran – ‘How Would You Feel’. We chose this as it reminded us of our first date and we love Ed Sheeran. Being announced as husband and wife in my home town, surrounded by all of our loved ones. My mother broke and dislocated her ankle twelve weeks before and had to have major surgery; she wore a specialised boot on the day but still looked fabulous in her floor-length gown and we still had our mother-daughter dance – despite the fact two weeks before the wedding I also fell down the same stairs, but luckily only sprained my ankle. There were some other hiccups throughout the day but I couldn’t have been happier and the good parts definitely outweighed them. The hotel looked amazing thanks to Johanna Palmer and her staff; Jackie from Finishing Touches provided stunning decorations and Major Entertainment the ceiling drapes; and Beverley Jelf was my florist from Ivy House, who not only made the flower arrangements but also made our beautiful bouquets which were exactly what I had hoped for. My hairdresser, Kirsty from Desire, was absolutely fantastic; everyone’s hair looked great and she helped us with every part of getting ready, and Ken Hitchings from Hitchings Photography really kept me smiling throughout the whole day. All in all, the people mentioned really made all the difference to our big day and I am truly grateful for all they did to make our day so special. Just aim to enjoy yourselves. The most important part of your day is when you say your vows and commit to your husband/wife for the rest of your lives. It’s about the two of you sharing your love and commitment to one another with the people you want to share it with. We had stayed in a 15th-century cottage at Windermere in the Lake District. We had an amazing time and surprisingly fantastic weather. It was perfect. 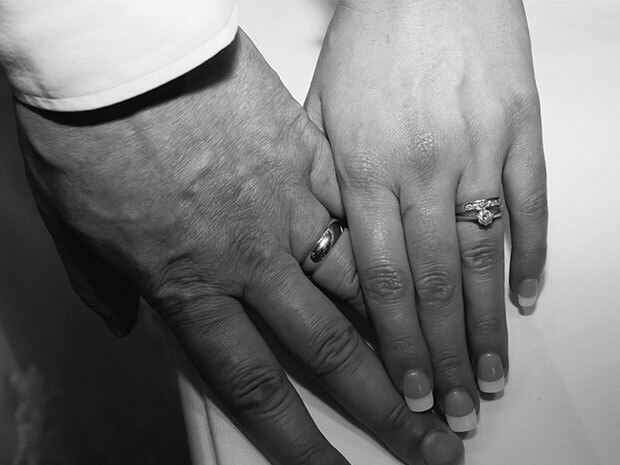 If Marie and Mark’s wedding has inspired you, see Hallmark Hotel Gloucester, call 0330 028 3408, email gloucester.events@hallmarkhotels.co.uk, or visit hallmarkhotels.co.uk directly.